An express service to the Sunderland International Airshow will run on Saturday 23 and Sunday 24 July, providing a direct link between Sunderland City Centre and the popular regional event. 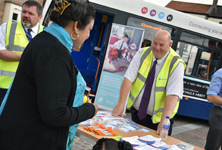 Stagecoach, Arriva and Connect Tees Valley joined forces to encourage Tees Valley commuters to leave the car at home and give the bus a go during ‘Catch the Bus Week’. 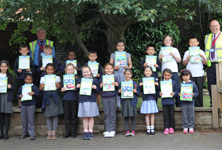 A school in Sunderland is celebrating after its pupils took part in a ‘green’ competition with local bus operator, Stagecoach North East, and were selected as winners with a £250 prize. A school in Newcastle is celebrating after its pupils took part in a ‘green’ competition with local bus operator, Stagecoach North East, and were selected as winners with a £250 prize. 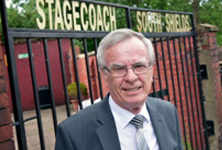 Stagecoach North East is bidding farewell to a much loved and respected operations manager, who has announced his retirement after almost 44 years service in the transport industry.